Brennon Jones and his 'Haircuts 4 the Homeless' effort are now the subject of a documentary. 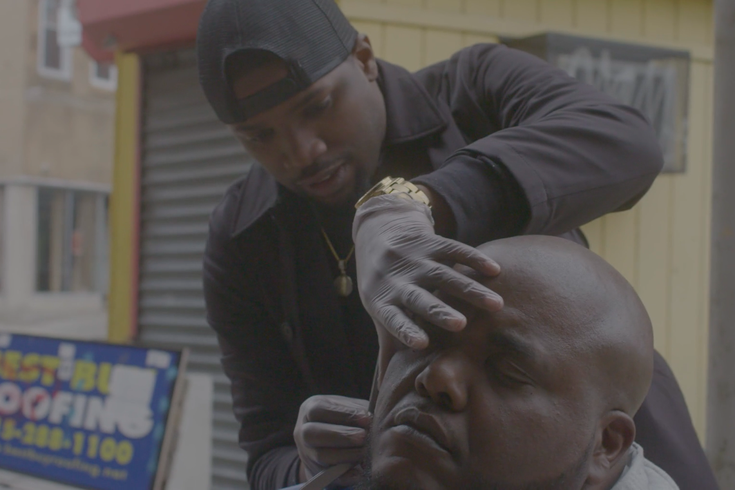 It’s been three months since PhillyVoice first brought you the story of Brennon Jones’ mission to provide haircuts for the homeless in Philadelphia and beyond. In the time since, he’s been the subject of numerous news stories, appeared on "The Rachael Ray Show" and raised funds to take his mission of kindness on the road next month. That much-deserved attention continued last week when Upland Film Company released a five-plus minute documentary, titled “Chester Makes.” It's about Jones, his family, his hometown of Chester and the “Haircuts 4 the Homeless” effort. “Brennon Jones provides more than a free haircut to those that can't afford one,” reads the documentary description. “The barber from Chester, Pennsylvania uses his craft as a way to show care and appreciation for those that are too often left without it.